After 37 years in power Robert Mugabe has been sacked by his ruling ZANU-PF party and replaced by Emmerson Mnangagwa. He is the man the veteran president sacked two weeks bringing on his own political downfall. Mugabe has addressed the nation, without making any direct mention to resignation. 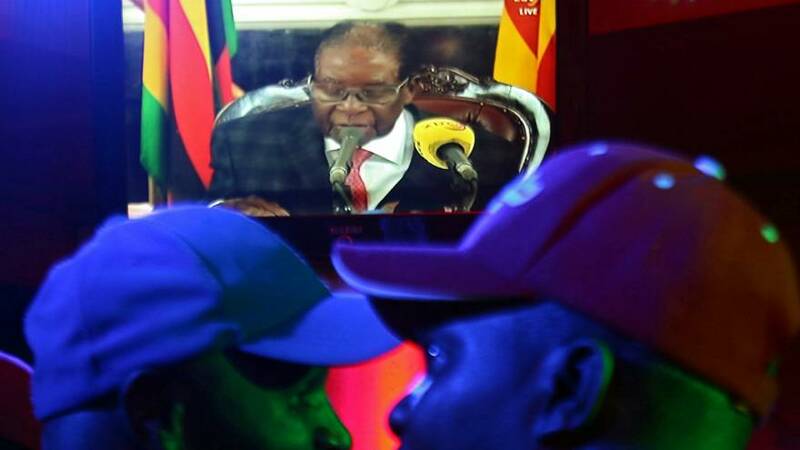 During the speech, the 93-year-old pledged to reside over a ZANU-PF congress next month despite acknowledging criticism against him from the party, the military and the public. “The government remains committed to improving this social and material conditions of the people,” he said, adding that he woud not be guided by “bitterness”. Earlier, sources close to the negotiation had reported Mugabe had agreed to stand down. The vote by senior Zanu-PF officials significantly weakens Mugabe’s position. If he refuses to step down, Zimbabwe’s parliament is expected to move to impeach him when it reconvenes on Tuesday. On Saturday, hundreds of thousands of people flooded the streets of Harare where the desire for change is palpable. “We’ve suffered for a long time under the oppression and fear of Mugabe. He must go now. As for all those corrupt people and police officers who were stealing, we hope the new government will deal with these people so that we have a better Zimbabwe,” said one young protestor. Mugabe’s demise has sent shockwaves through the continent where a number of entrenched strongmen including Uganda’s Yoweri Museveni and Joseph Kabila of the Democratic Republic of Congo face mounting pressure to step aside. Will Zimbabwe military end Mugabe era?